There’s a silence on the other end of the phone. Matt Dixon, the Xtreme Fight Night (XFN) welterweight champion, thinks for several seconds as he ponders the question. It’s the end of a lengthy interview, with dozens of questions and topics already answered and dissected. And that’s not arrogance. Dixon was raised in a deeply religious household; he knows all too well the warnings of lofty prides and falls. “My father is a pastor. My mom and my father met in Bible college. So, I always grew up around the church. My father owned the church – all of that stuff,” Dixon told The Body Lock. It was his father, Dixon says, who put him on the path he walks today: the path of a mixed martial arts champion. Boxing was Dixon’s first love. The Oklahoman remembers vividly sitting in front of the television with his father, watching boxing greats like Muhammad Ali and Mike Tyson slug it out to the roars of raucous crowds. “Growing up, my dad was a very big Muhammad Ali fan, so I did watch a lot of Muhammad Ali. That wasn’t actually a guy that I wanted to emulate, besides his confidence, his charisma, all that stuff. I always admired that. Obviously, I don’t talk like Muhammad Ali, but everything other than that I really appreciate and admire about him. Ultimately, though, Dixon turned his attention to mixed martial arts. “Then when I was about six years old, my dad took me to an MMA gym for the first time, and it really wasn’t MMA back then. Like, there wasn’t an MMA gym, I guess, but it was a gym where they did, like, boxing; they did some catch wrestling, and every time they would learn a new jiu jitsu move, they would bring it and teach us that,” recalled Dixon. That unique amalgamation of disciplines and blending of styles is just what Dixon wanted. Matt Dixon began a fighting career in boxing, competing in multiple amateur bouts with success. 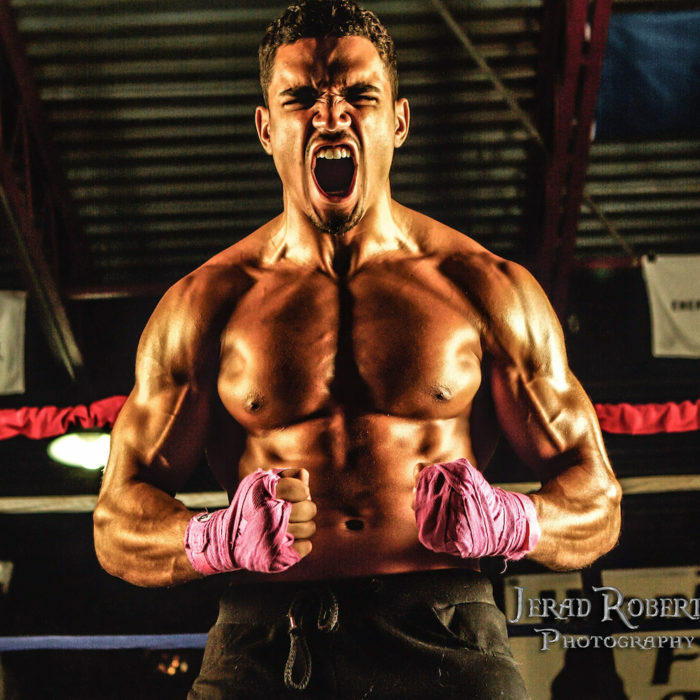 He then transitioned to kickboxing and MMA, where he made his amateur debut the moment he reached 18 years of age. “It was December 6th, I still remember it to this day,” Dixon said of scheduling his first amateur MMA bout. “I had my first amateur fight at 155 pounds, and I believe it was just like we had just come off of a kickboxing fight. My coach was like, ‘Hey, you know, as soon as you turn 18, we’re going to have an MMA fight,’ because in Oklahoma you have to be 18 years old to have an amateur MMA career. Dixon would go on to win that amateur debut and the next four of his fights. Despite such success, however, Dixon’s decision to turn pro wasn’t exactly his own. Still, Dixon and his team were ready for the jump, even if it came more out of necessity than choice. Today, Matt Dixon competes in XFN, the same promotion for which he fought in his very first mixed martial arts bout. There, he is the promotion’s undefeated welterweight champion. One of Dixon’s favorite aspects of fighting with XFN is the exposure the promotion has as a result of airing on UFC Fight Pass, the UFC’s exclusive streaming service. Dixon captured XFN’s welterweight title back in November of 2018. He defended that title successfully just this month, scoring a knockout of talented finisher, Braden Smith. Being a champion, Dixon says, is more of a mentality than a gaudy belt. “I’ve always believed that in order to be a champion, you have to carry yourself as a champion inside and outside of the cage. Being a champion isn’t defined by your belt, [but] the symbolism aspect of the belt kind of makes people inspired and have something to strive for,” said Dixon. That mentality has served Dixon well so far, guiding him to an undefeated amateur and professional record as a mixed martial artist. But, as one might expect, Dixon doesn’t put much stock in numbers, records, and accolades. “I don’t really even concern myself necessarily with [being undefeated]. As far as it being a good thing to kind of look back on and say, ‘Hey, you know, I’ve been undefeated and all of that stuff?’ I think that that’s great. You know, it sounds good and all that stuff, but for me personally, I’m always thinking about the next. What’s next? What’s in front of me? In this present moment, I don’t really concern myself with what I’ve accomplished. 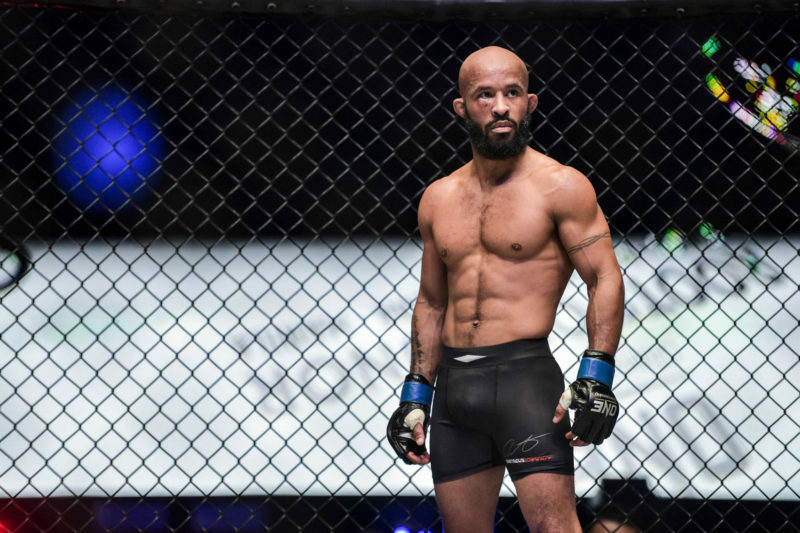 Far too often, MMA fighters are subject to negative stereotypes; the occupation has a stigma seemingly permanently tied to it. Yet, Matt Dixon endeavors to change that perception, chiefly by sharing his journey and encouraging others to live their own. Dixon believes the passion to do so was instilled in him from a young age. “I grew up around speaking, hearing my dad speak. I was very interested in different motivational videos and inspiring, not necessarily because I liked the motivational videos for myself, but I loved the process of seeing someone encouraged. I really enjoy seeing that. That’s one of my passions,” said Dixon. Now an undefeated martial arts champion, Dixon has a larger platform than ever to affect change. “Whenever I first initially started to speak, it was at an FCA, which is just basically ‘Fellowship of Christian Athletes’. And I was just speaking in front of like probably like 30 kids or 25 kids, whatever the number was, and they were just, you know, football players; baseball players. Dixon is committed to doing just that, both in and out of the realm of mixed martial arts. Especially during the build-up to his fights, Dixon keeps things clean and respectful. “I was always was a huge fan of Georges St. Pierre; I was a huge fan of Fedor Emelianenko. 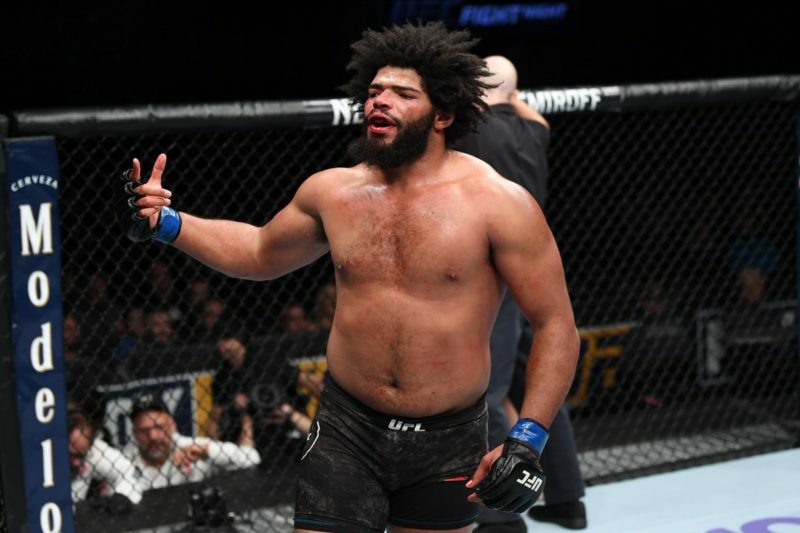 I was a huge fan of a lot of the guys who were able to turn it on whenever the cage doors closed, and they didn’t necessarily have to cuss anybody out; they didn’t necessarily have to try to promote a fight to become these big, huge stars in the sport,” Dixon adds. Dixon acknowledges that trash talking is prevalent in mixed martial arts, but is determined to take the high road and become a star doing so. Matt Dixon is undefeated as a mixed martial artist. He holds four amateur wins, eight professional wins, and six professional finishes. He’s a champion in XFN, and he’s been doing it all on UFC Fight Pass. To an outside observer, a UFC call, or perhaps a shot on Dana White’s Tuesday Night Contender Series, seems inevitable. As for a Contender Series bid, Dixon again wishes to take his time. He’s open to appearing on the show, but would prefer signing with the UFC without the extra step. 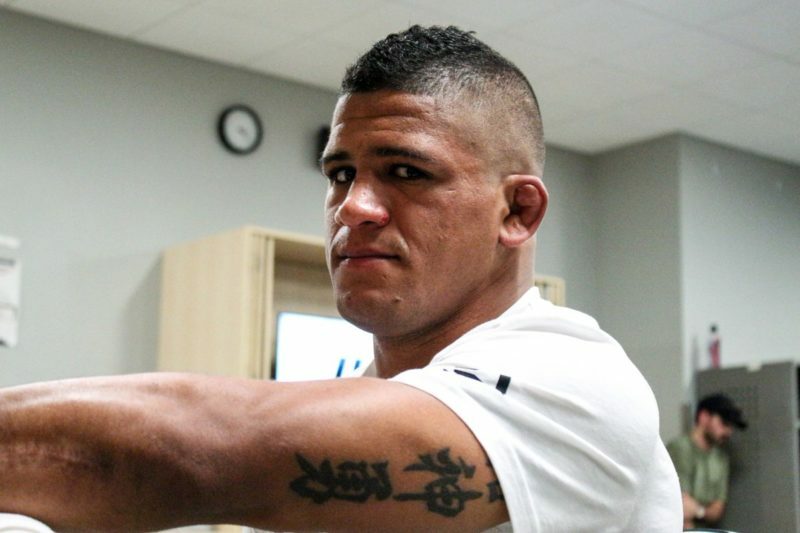 “I’d rather sign to the UFC outright. I have respect for the Contender Series. I’m not too familiar with the Contender Series, honestly. I haven’t watched a lot of TV in the past two years, and so I’ve just seen little fights on the Contender Series, but I don’t actually know very much how the actual process works; the business side of it works, as far as what type of money they pay to their fighters and situations like that. In the meantime, Dixon plans on continuing to defend his welterweight title, and maybe even going up and capturing middleweight gold in the XFN ranks, too. Dixon is confident he will make the UFC jump with the same degree of success he’s enjoyed to date. He envisions adding a UFC title to his growing list of accolades. “I see myself fitting in really well with those guys. Honestly, right now, I feel like I could go in there. I see myself as the UFC welterweight champion. I’ve got a lot of respect for Kamaru Usman; I’ve got a lot of respect for Tyron Woodley, but at the end of the day, I really don’t have any doubt in my mind that I could take that UFC welterweight title. One thing that Dixon believes will set him apart from other UFC newcomers is his strong self-belief and lack of so-called ‘Octagon jitters’. Matt Dixon returns to that final answer: how he’d like to be remembered as one of the greatest. “I don’t want that to come off as arrogant or anything like that, but I want to be one of the greatest, and I want to be remembered as one of the greatest ever do it. For some odd reason, I hear, like, Joe Rogan yelling it out, and announcing it, you know? I hear a little Mike Goldberg in there, all of that,” Dixon says with a laugh. Michael Fiedel is an avid MMA fan and also loves Brazilian jiu jitsu. He lives in Fort Lauderdale, Florida, but will soon be moving to Nashville, Tennessee.